The number of Post Office prosecutions of postmasters has fallen sharply in recent years, from dozens a year to single figures, according to figures released under the Freedom of Information Act. The Post Office has prosecuted subpostmasters in the past because of false accounting or theft after the Post Office’s Horizon IT system showed discrepancies in the accounts. The law allows the Post Office to act as investigating authority – and prosecuting authority – when it suspects losses shown on the Horizon system are due to dishonesty by subpostmasters who run local post offices. Some sub-postmasters have been jailed and some have been made bankrupt or ruined financially after the Post Office required that they repay losses shown on Horizon. More than 150 subpostmasters are in the midst of a collective legal action against the Post Office. The action is being coordinated by the Justice for Subpostmasters Alliance. The Post Office is fighting it. Subpostmasters say the losses were the result of faults in the Horizon or associated equipment and communications, which the Post Office denies. Subpostmasters say that evidence of discrepancies is not the same as evidence of theft. In its Freedom of Information response the Post Office gave no reason for the plummeting number of prosecutions. One possible factor is that the Post Office might have re-examined its approach to prosecutions. In 2013 forensic accountants Second Sight began reporting on complaints by about 150 subpostmasters that they were being incorrectly prosecuted or asked to repay money they did not owe. In 2014 the BBC reported on the contents on of a leaked Second Sight report that said Post Office investigators did not look for the root cause of the errors – and instead accused the sub-postmasters of theft or false accounting. The Post Office has issued a point-by-point rebuttal of Second Sight’s reports. In a separate blog post, I have suggested that the Post Office settle the Justice for Subpostmasters Alliance’s legal action – which would mean compensating the individuals and families involved – to avoid protracted legal proceedings causing more suffering. A Post Office has closed – temporarily perhaps – because the postmistress is refusing to spend more of her own money balancing the books on the Horizon IT system. The York Press has published an article on the concerns of Wendy Martin who runs a Post Office branch in Clifton, York. A broadband connection from her branch to the Horizon system goes down regularly, which she says stops payments being processed centrally. This has left her business hundreds of pounds down at the end of the month and her covering the shortfall. Under her contract with the Post Office – and all such contracts – subpostmasters are responsible for any losses shown on Horizon. About 150 sub-postmasters have complained to the Post Office about shortfalls which they say were accounting discrepancies related to Horizon problems rather than theft or fraud. The Post Office’s legal action following cash shortfalls has led to the ruin of dozens of subpostmasters who have lost their livelihoods, been made bankrupt or gone to jail. 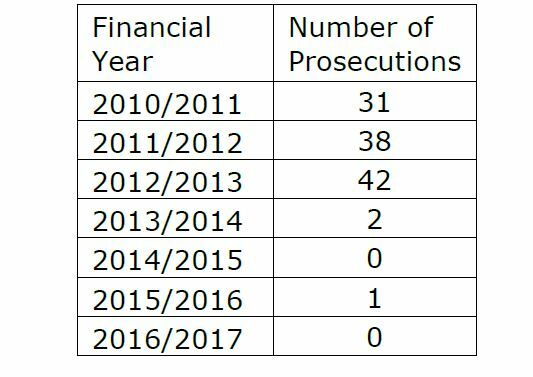 There were criminal convictions in 43 cases. Subpostmasters claim the Post Office failed to investigate irregularities properly before launching criminal proceedings. Wendy Martin has closed her Post Office until the connectivity problem is corrected. The self-employed postmistress, who has worked in various shops during an 18-year career, says she is concerned that the problem will increase and could leave her paying in more money each month until the shop goes bust. She told The Press: “The public feel I’m doing them a dis-service because the shop is shut but I could be in a situation where I may end up in prison. Since the York Press article was published on 29 August Wendy Martin says the Post Office told her it would be “out asap and will sort this out”. She says she “cannot afford to keep putting money in for lost transactions due to this”. Some subpostmasters have set up a Facebook page to air some of their grievances. “There is no evidence that faults with the computer system caused money to go missing at these Post Office branches. There is evidence that user actions, including dishonest conduct, were responsible for missing money. John Munton, a director of the Centre for Effective Dispute Resolution, which is mediating in the disputes between the Post Office and subpostmasters, has written to the Post Office on the results of his review of the mediation so far. Of the 20 cases that have gone through mediation, 8 have been resolved which is 40%. Munton says this settlement rate is “somewhat lower than the average settlement rate that we see across all the mediations that CEDR conducts”. In an average year its settlement rate “tends to range between 65% and 75% with a further 10% to 15% of cases resulting in some progression towards final resolution”. Munton suggests there is a fundamental mismatch between the expectations of the subpostmasters and the object of mediation which is not to award compensation but to achieve an agreement between the parties. Subpostmasters expect to enter into talks on compensation for their lost livelihoods and money they have paid to the Post Office to cover accounting shortfalls. The Post Office’s representatives make it clear they need credible evidence to justify the claims for compensation. The subpostmasters can prove little or nothing, perhaps because Horizon is not owned or run by them. All the information subpostmasters possess is supplied and owned by the Post Office or its main supplier Fujitsu. The Post Office says there is no evidence that Horizon has caused the discrepancies complained of by the subpostmasters. This is not like a train crash where there would be an independent statutory investigation, the findings of which would have a statutory authority. In these cases, the Post Office has chosen to commission an independent investigation from forensic accountants Second Sight. The findings have no statutory authority. The Post Office is entitled to reject Second Sight’s findings. And it has. It is unclear whether all the facts in these cases have surfaced, whether the Post Office still possesses all the potentially relevant data from disputes that date back many years, or whether it has made any mistakes in its interpretations of the facts. The Post Office will continue to benefit from a purely legalistic approach because subpostmasters may be able to prove that Horizon can go wrong but they will never prove that it did go wrong in their particular case. Even when statutory investigations take place into public safety incidents, it may take years to find possible or likely causes. And that’s the point. There are only possible or likely causes. In fatal air crashes involving large passenger jets, for example, the outcome is a “probable” cause or “probable” causes. By requiring evidence of a definite cause or causes of shortfalls, the Post Office is demanding the impossible. On the other hand, why would it pay compensation when subpostmasters cannot prove that Horizon and the Post Office’s training or procedures were at fault? Perhaps the only sensible way for these disputes to be settled is for lawyers to stand aside and allow managers to resolve cases on the balance of probabilities. It’s clear to outsiders that 150 subpostmasters have not had criminal intent when, as happened in some cases, they signed off unreconciled accounts as correct. Many are victims of miscarriages of justice and deserve to have adequate compensation and their names cleared. The sooner this happens the sooner the Post Office can reclaim its reputation for fairplay. If the cases are not settled the campaign for justice could go on indefinitely. This evening BBC1 is due to broadcast a Panorama [7.30pm] on the Post Office’s Horizon IT system and complaints by more than 100 subpostmasters. John Sweeney is one of the most dogged reporters in TV. Another journalist Nick Wallis helped in the making of the programme. He has already presented short documentaries on the Horizon system and the complaints of subpostmasters on BBC’s “One” programme. The broadcast is likely to add weight to a Parliamentary campaign for justice for subpostmasters who have been made bankrupt, lost their homes and livelihoods, gone to jail or had to pay to the Post Office tens of thousands of pounds the Horizon system said they owed. The Post Office says that exhaustive investigations have shown there is no systemic fault with Horizon. Last month the PO urged aggrieved subpostmasters to “engage” with its mediation scheme. But the campaigning group the “Justice for Subpostmasters Alliance” says that it is “not aware of a single case that has been to a Mediation meeting where the applicant has been the slightest bit happy with the outcome, or that the meeting brought resolution between the two parties, which was the stated aim of the Scheme”. It adds that the Alliance is “aware of a number of cases that have been to Mediation meetings where the applicants have been left distraught and angry at Post Office’s unwillingness to listen or even consider the issues that they have raised”. The PO says it acknowledges that the mediation scheme has “taken longer than all those involved would have liked”. It adds in an email to subpostmasters: “However, we do now have the opportunity to sit down with you and your professional adviser if you have one, to discuss your complaint in detail and look forward to the opportunity to do so”. 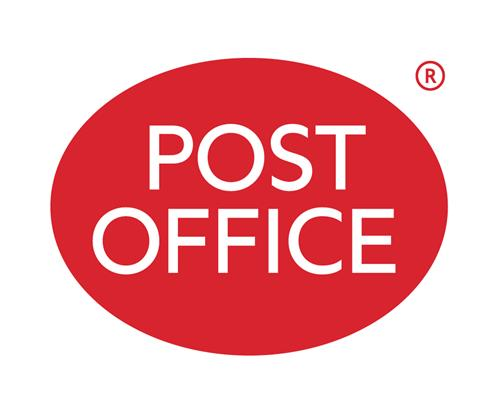 BBC2 has been running a series on the Post Office, “Signed, Sealed, Delivered – inside the Post Office” which was filmed with the PO’s co-operation. In part it shows the PO’s difficulties trying to recruit subpostmasters for local post offices that may otherwise face closure. The government has said the Post Office must keep all of its 11,500 branches open. Not allowing a single branch to close is a huge challenge for the Post Office. Now another part of the BBC is due to broadcast a Panorama programme on how some subpostmasters have had their lives ruined when they have run into difficulties that involve the Horizon system. Are those difficulties one reason the PO is struggling to recruit 600 subpostmasters to keep some local post offices alive? The pressure on the PO to take unambiguous action to right the perception of a massive injustice is growing. Aside from the bad publicity, and the campaign for justice led by MPs, next month a tribunal is due to take place of Fozia Rashid who claims she was sacked from the Post Office’s Knaresborough High Street branch, in July 2013, after witnessing and attempting to report a series of criminal activities, including potential institutional fraud and errors in the Horizon software. Her hearing starts on 3 September 2015 in Leeds. She says on Twitter that the Post Office has made her offers to settle. Any publicity of the case is unlikely to make it easier for the Post Office to recruit more subpostmasters. When will the PO accept that more than 100 people, many of whom signed up in search of an idyllic village life running a local post office, cannot all have been dishonest and were likely victims of circumstances beyond their control? Tonight’s Panorama is well worth watching. Jailed and bankrupt because of “unfit” IT? Some lesser-known costs of outsourced IT? An outsourcing contract may work well in general, but what when things go wrong and the customer needs non-routine or extra-contractual information and answers from the supplier ? The Post Office is delighted with the system and the service, and always has been. For some years its officials considered Horizon infallible, according to evidence given to the Business, Innovation and Skills Committee last week. Fujitsu has continued to enhance the system and service – sometimes at its own cost. Most post office staff have had no complaints with the system – but more than 150 subpostmasters say they have had problems that, in some cases, have ruined their lives. During a hearing that lasted nearly three hours, the Committee’s MPs heard that the Post Office’s contract with Fujitsu meant that investigating some complaints or queries with the system was not always contractually straightforward. “… The software … works well most of the time. Like any large system, it occasionally generates errors. “Our concern is the response by Post Office to supporting sub-postmasters when they face those problems. Yes, there is a helpline facility, and, yes, training is provided, but there is no formal investigative support. “They are left largely to their own resources, supported by the helpline and so on, to get to the bottom of those problems. Investigations into some of the more serious complaints by subpostmasters require access to Horizon’s audit trails. These were available for up to 42 days before 2010 and 60 days since. MPs heard that sometimes the audit trails would be needed for investigations when they were no longer available. Henderson claimed that 2nd Sight had requested copies of emails for 2008 but was given them for 2009. He told MPs he has still not had the emails for 2008,which the Post Office disputes. Like most commercial organisations the Post Office has to pay to store data, so it has a policy of destroying data after several years. The Committee heard that “some of the cases [being investigated] are regrettably very old, so some of the data are simply not there”. When big organisations, particularly councils, outsource their IT, do they always take into account the costs associated with investigations of problems – accessing old audit trails, retrieving other old data such as emails, or searching for information that might have been destroyed to save money? It’s unclear whether the outsourcing of its IT has helped or hindered the Post Office’s investigations into the complaints of subpostmasters. After dozens of subpostmasters were jailed, bankrupted or lost their livelihoods because of irregularities and shortfalls they say were not their fault, MPs met on Tuesday [3 February 2015) to question senior Post Office officials and their critics. It was the first time, in public, that Post Office officials have answered a comprehensive set of points made by their critics. Ian Henderson of forensic accountants Second Sight, who were brought in by the PO to investigate possible miscarriages of justice and complaints by subpostmasters, made some trenchant criticisms of Post Office IT, processes, attitudes and culture. Dozens of subpostmasters were accused of false accounting, fraud or theft because of shortfalls in their daily balances that, they say, were due to a lack of training or IT problems related to the Post Office Horizon system. Some were jailed. Some have had their lives ruined by having to pay back to the Post Office tens of thousands of pounds they say they did not owe. Some have had to sell their homes to pay the Post Office. Those answering questions at a hearing this week of the House of Commons’ Business Innovation and Skills Committee included Paula Vennells, Chief Executive of the Post Office. The uniqueness of the hearing and the incisiveness of the points raised make it worthwhile to report on the proceedings in depth. Excerpts are below. – how has it come to be that the output of a computer system has been trusted over the integrity of individuals who are – were – pillars of their local communities? – should independent controls exist to ensure innocents are not branded criminals because of output from a complex system that has multiple interfaces and known fallibilities? – Ian Henderson, forensic computing expert, Advanced Forensics (Second Sight Ltd). The Post Office commissioned Second Sight to investigate complaints by subpostmasters. Mediation Scheme [set up by the Post Office in August 2013 to deal with complaints by subpostmasters that they have been incorrectly blamed for shortfalls in daily balances shown on the PO/Fujitsu Horizon system]. “What we have seen from the scheme is that yes, as you heard earlier, it has taken longer than we would have liked. The reason for that – this is one of the benefits of having put the scheme in place – is that we have investigated every single case in the most thorough detail. “We have been rigorous about this. As chief executive of the Post Office, I could not put this scheme in place and not do it properly. The system and the people who work in our branches are too important for that. Andy Furey (Communication Workers Union): “Our concern overall is the hundreds of postmasters who seemingly have not had justice. “They were dismissed for irregularities that were not down to them as individuals or their staff, and which are seemingly a problem of the system. “We were pleased that the mediation scheme was erected and set up, but we do not think it has delivered as it was envisaged to in the first place. We are concerned about the pace of the process of mediation, and the number of cases that seem to have fallen out of the process. Overall, we are not particularly happy with the way that the mediation scheme has been conducted. Angela van den Bogerd (Post Office): “I am part of the working group, and I have been the Post Office person who has been in there from the start until today. As you heard earlier, the investigation—the whole process of cases into the mediation scheme – has taken longer than we all anticipated it would, at every stage, from the applicant putting in their initial application, through to asking whether they want an investigation to Second Sight doing theirs. “These are individual cases and very complex. What we have wanted to do, and are very committed to doing, is a thorough investigation of each of the issues raised by each of the applicants to the scheme. That has been a very long process. “We have not dragged our feet. I have had 20 people working on this full-time for over a year. We have produced thousands and thousands of pieces of evidence in support of each of the cases that we have put. George Thomson (National Federation of Subpostmasters): “Can I just say, firstly, 99% of postmasters are dead straight and honest? But on this very important issue about mediation, I think it was probably the training. Mark Baker (Communication Workers Union): “I have three members in the mediation scheme and from our experience, it is agonisingly slow. I have only got one member who got to the stage where he gets the Post Office response…I do not know why Mr Thomson comments on the mediation scheme; he does not have any members in it. Kay Linnell: “When the Post Office moved to a computerised system in 2000-01, they did not amend the contract between the sub-postmasters and the Post Office. The individual subpostmaster remained totally responsible for all gains and losses, but they were no longer able to check each and every transaction because there were no slips. Ian Henderson (Second Sight, forensic accountants investigating individual cases): “Over a period of time, Post Office has quite sensibly introduced a number of system changes. “Some have benefited sub-postmasters and Post Office, of which the changes to lottery and scratch cards are a very good example. “Bearing in mind that, under the contract, the sub-postmaster is responsible for making good all losses, I am concerned that a number of those process changes have reduced costs to Post Office or have benefited Post Office, and have acted to the disadvantage of sub-postmasters. “While the contract has been changed in part, it has remained substantially the same for 20 or 30 years. We think that it does not provide sufficient safeguards for sub-postmasters. “For example, there is no entitlement to investigative support. We have been told that many sub-postmasters were not even provided with a copy of the contract. “In the contract, it states that investigative support will be provided only in cases of suspected criminality – in other words, if a criminal prosecution can or may be brought by Post Office. “It does not seem to cover a situation where a sub-postmaster identifies a problem, has exhausted all the readily available help mechanisms and wants some serious, professional help from a trained Post Office auditor. “To his surprise, he will find that he has no entitlement to that. Bearing in mind that Post Office holds all the data, we find that surprising. In the context of modern business practices and best practice, we think that that is unfortunate. “Our view is that the contract needs a fundamental overhaul to reflect far better an appropriate relationship. It strikes us that it is written very much in words reflecting a master/servant relationship that perhaps was appropriate 70 years ago but should not be part of a modern contract. Brian Binley (Conservative member of the Committee): I would like to take a vote. Was the support and ongoing training good enough when this sizeable system was launched? Yes or no? Mark Baker: “As a serving sub-postmaster, live, as we speak—I should be back at the branch, but I am here—perhaps I should tell you that training is generally received by serving subpostmasters through the form of manuals. We call them Branch Focuses. “They arrive every week and we read them to receive training and instructions on how to operate certain transactions. They are hopeless. “My wife prepared a 54-page dossier, randomly taking one month’s selection of Focuses and highlighting all the misinformation and errors contained within them, which she sent to the board of directors. She did not get a single reply from any director. Alan Bates: “I was also involved with the training at that point when the system came in, and I was a sub-postmaster then. I had one and a half days’ training, my staff had one day’s training and I believe that the regional people who worked for the Post Office had two and half days’ training. “I, too, received a 500-page pack to take away and learn how to use the system afterwards. That is how it was dropped on everyone. I had five members of staff who did training at that session. One of them had never even turned on a computer before, but she did a day’s training and then she was certified as being sound and correct and fine to use the system at the end of one day. Mark Baker: Apart from representing postmasters nationally, I am still a serving sub-postmaster. I have been doing the job now for 27 years, and 10 years prior to that I was working for the head Post Office. Horizon was introduced for a specific purpose: mainly to fulfill the wishes of the Department for Work and Pensions to have more automated process for pension allowances. “Horizon could also do other things in its early says, but its basic requirement changed as the DWP changed their requirements and the Post Office needed to use Horizon for more commercial reasons and had developed application upon application upon application. They had more and more data centres talking to each other, exchanging information. Ian Henderson: “… the Post Office disclosed to us that a number of software defects had been identified that affected 76 branches. It took some time for those defects to be identified—somewhere in the order of 12 months. “A feature of a number of the matters reported to us appeared to be the old and unreliable hardware that features in the Horizon system – old Horizon and new Horizon. “Failures are inevitable with that infrastructure. In general, Horizon has a robust recovery mechanism to cope with those failures. The cases we have looked at are primarily the 150 applications to the mediation scheme. Kay Linnell: “If you talk to anybody who has served in one these smaller, independent subpostmaster branches, you will see that there is a succession of people who have had problems with the hardware, the software or the support, and there are unanswered questions as to why the differences arose—small or large. It is that not knowing how the difference arose for which they are responsible that has, frankly, driven some of them to the edge of sanity. Mark Baker: “I have a lot of experience in another life in IT network systems working over virtual private networks, and I have been doing a lot of research into data flow disruption. Horizon just produces packets of data. It has to be transmitted, and it needs a secure network over which to be transmitted. The ADSL lines are not interleaved. If you do not interleave an ADSL line and put other equipment on it, you run the risk of disruption happening to the data flow. “Power can cause the same kind of disruption. The infrastructure in branch has not been maintained at all since it was introduced. The power lines have never been checked. The plugs have never been PAT tested. “The trip control switches, which are designed to protect the electrical circuitry, have never been looked at since the day they went in. I have no idea whether they still work, so what damage can power surges and power outages cause. “The interaction of Horizon when it loses its ADSL connectivity for whatever reason and defaults to its modem is another area of concern to me. We are doing highly encrypted secure banking transactions on a mobile phone chip, and that is a recipe for disaster. “In the rural areas, it will be worse than in the urban areas. Urban areas get the same problem, but in the rural areas, you are a long way away from your BT exchange. “The signals are not always very good if you have to go on to the backup through the modem, and it is a recipe for disaster. This is not only my opinion. Second Sight have raised this issue, particularly if you read the report that they have provided to the mediation scheme. Angela van den Bogerd: [Regarding telecommunications problems and a loss of power]. “The system is designed to cope with that. If there is a loss of power or of communication mid-transaction, none of those data are lost. It freezes in time, and when the system comes back on, the screen asks the user to give it some information about what point in the transaction you were at. Did that transaction complete? Had you given money? Had you taken money? Ian Henderson: “In terms of IT support, we are concerned about some of the interfaces with third-party partners such as Bank of Ireland and other banks, ATMs and so on. The issue is those interfaces and the flow of information from those third parties, which of course would not happen in a high street bank where everything is integrated. It is those third-party interfaces that seem to cause a disproportionate number of problems… In 2009, when the Post Office performed an audit of 20 branches relating to the lottery scratchcards. Those 20 branches caused £147,000 in losses, and as a result of that, certain process changes were eventually developed. “In 2010, over a three-month period, more than 1,000 transaction corrections –TCs – were issued to branches, the financial value of which was £744,000. Angela van den Bogerd: “We have tried to automate products, so that less human interaction is required. In the case of lottery scratchcards, those error notices were particular to cases where sub-postmasters had sold scratchcards before they had booked them in. Aren’t Crown-owned Post Offices hit by discrepancies? George Thomson: “If there was a systemic issue … there would be big problems in the Crown offices as well. I cannot recall a single big issue where someone in Crown offices has blamed Horizon. Alan Bates: “One of the few documents that has come to light in all of this is a 2007-08 internal report from the Post Office, which showed that the Crown offices lost £2.2m across their counters that year. So Crown offices do lose money. Henderson: “Crown offices have one significant difference compared with branches: they have the ability to write off losses up to certain levels. A sub-postmaster cannot do that; he is accountable for every penny. “If there is a discrepancy, he has to make that good. The same principle does not apply to Crown offices. “Another of the outstanding questions we have put to Post Office is that we want data comparing and contrasting losses written off by Crown offices and the equivalent losses borne by sub-postmasters. Is the Federation of Subpostmasters supporting members hit by shortfalls? Alan Bates: “The reason why the Justice for Subpostmasters Alliance was set up was that the Federation refused to support sub-postmasters in any cases about Horizon. It never once supported people in court cases or anything like that. “It was just saying to people, ‘Right, you’re saying it’s a Horizon problem. Oh, I’m sorry. There’s nothing wrong with Horizon. The Post Office has told us there’s nothing wrong.’ That is why the JFSA came about. Every one of our members wants their dues back from the federation because of its so-called support -or lack of support – over the years. “If we are not careful, we damage the brand, we damage the franchise and we cost my members’ ability to sell the franchise. Kay Linnell: “My understanding is that the Post Office had to pay for metadata from their contractors Fujitsu. This meant that when a shortage or overage arose and SPMs tried to investigate it and asked the Post Office about it, there was an extreme reluctance to investigate each and every shortage or overage. “It was not supporting the postmasters – the ones that find themselves in the JFSA group – or looking into their cases. Why has that happened over the years that Horizon has been in life? That very much is the core reason why we find ourselves here today. Alan Bates: The Post Office never investigate cases if a sub-postmaster has an issue. If they raise that they have a problem, they suddenly get landed on by Post Office’s audit and, more than likely, they will be thrown out or even charged afterwards. “That is what has gone on in the past. I think they are trying to change it these days, but I do not know how successful because two or three new people a week call me, and these are serving sub-postmasters having problems as well. There are ongoing issues. Henderson: “… we think that there have been prosecutions brought by the Post Office where there has been inadequate investigation and inadequate evidence to support some of the charges brought against defendants -sub-postmasters and former sub-postmasters. “In particular, we are aware -this, again, is why we need to see the full prosecution files – that a common tactic employed by the Post Office, or lawyers acting on its behalf, is to bring charges for both false accounting, which is a relatively easy charge to prove, and theft; then, as a bargaining point -a plea-bargain, almost – before trial, they drop the charge for theft on the basis that, first, the defendant will probably avoid a custodial sentence and, secondly, the evidence is much simpler. 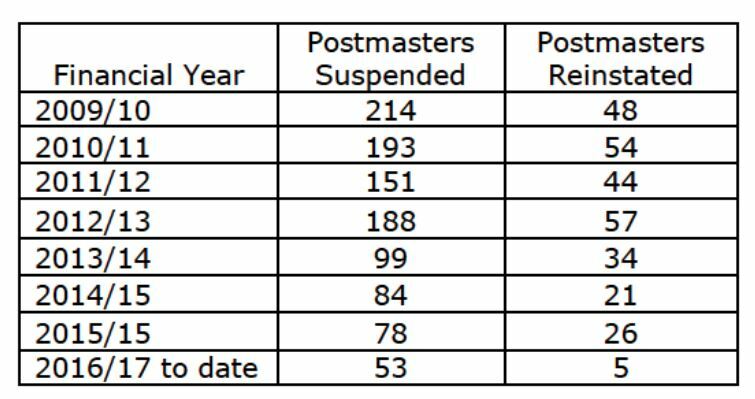 How many postmasters are affected? Thomson: “It’s tiny, because you are talking about something in the region of more than 30 million transactions every single week. It used to be about 60 million transactions. Alan Bates: “During the 12-week period in which the mediation scheme was open, we had 150 people apply for it. Since then, probably a similar amount have been trying to get into the scheme, but it is closed. Did postmasters have full control over their accounts? Kay Linnell: “The problem that the members of JFSA and the complainants have is that the analysis and evidence has not been produced… What has happened with the small sub-postmasters is that, even where there is only the subpostmaster operating the tills, money has gone missing which is outwith their control. “For example, if cash collection is picked up and remitted to head office, it is sometimes not logged against them in head office and a shortage arises. “Sometimes, an entry goes through -a transaction correction or credit – and they do not know about it. Although the sub-postmaster is personally responsible to pay cash, they are not aware of how the differences have arisen. Support when things go wrong? Linnell: “People today are still getting shorts [shortfalls] and overs [surpluses] on a daily basis and still have no clue why the accounting systems that they can see do not balance. Ian Henderson: “The core system – the software, for want of a better word – works well most of the time. Like any large system, it occasionally generates errors. Our concern is the response by Post Office to supporting sub-postmasters when they face those problems. “Yes, there is a helpline facility, and, yes, training is provided, but there is no formal investigative support. “Under the contract, sub-postmasters are not entitled to investigative support when they say, ‘Look, we’ve got this discrepancy. I don’t understand how it happened.’ They are left largely to their own resources, supported by the helpline and so on, to get to the bottom of those problems. Paula Vennells: “We monitor very carefully the training and support that we give. The first point that I want the Committee to hear is that there are always opportunities for us to do it better. I have no doubt about that; it applies to any organisation. We are not perfect, and we continually try to improve things. “The satisfaction rate for the support desk for the sub-postmasters is running at about 87%. It has improved since we put in place changes last year, but it has always been good. “As you heard from George Thomson, the vast majority of people have no issue with the system, and they are actually quite satisfied with the training and support around it. We are dealing with a very small number of people who have had some really difficult things happen to them. Angela van den Bogerd: “If a branch finds that it has a large unexplained loss, the first port of call is for them to ring the helpline. There is a process in place for them to be helped remotely. If the helpline cannot solve their problem at the time, it goes to another team—a branch support team, which has a bit more expertise and can dive a bit deeper into the information. “If that fails, we send someone out to visit the branch and see if they can help them there. That process is in place. “Looking back over the cases that we have investigated, we could have done that a bit better in some of those cases. It is not that there is a culture of denial here. I have personally been involved in each of those 150 cases and got into the detail. Is PO/Fujitsu forthcoming with information? Ian Henderson: “I have spent a lot of the past 12 months, frankly, dealing with Post Office, requesting access to documents that have been challenged, as I understand it, on legal advice. “One issue we have been looking at relates to the Fujitsu office in Bracknell. We first requested documents relating to that in February 2013 – almost two years ago. We have still not been provided with those documents. “We are very concerned about the operation of the suspense account by Post Office. We have been asking for that information since July last year. Perhaps the most important failure to disclose to us is the full access to the legal and prosecution files. Alan Bates: “It [the mediation scheme] was originally launched in 2013 and it closed on 18 November that year. There were thoughts that it would be a matter of weeks for the Post Office. I think the Post Office allowed four weeks to look at cases and investigate them, whereas it has been taking them four, five, six or seven months to investigate a case. Angela van den Bogerd: It is not that we are not sharing information; it is about understanding the format the information is in. Second Sight are independent; there will be disagreements about requirements for information at some stage. I do know that where we are able to we have shared everything we possibly can. Henderson: “When we were first appointed, we were told that the principle behind what we were doing was to seek the truth, irrespective of the consequences. “We could look at anything that we felt, as an independent investigator, was necessary to conduct our investigation. Unsurprisingly, with cases that came into the early part of the scheme that involved a criminal prosecution, we were provided with full access to a small number of files. Zahawi: Will you provide them? PO approach to mediation dominated by lawyers? Alan Bates: “At the outset, the people who were involved with it, JFSA, Post Office and Second Sight, all thought we were doing one thing. We were heading in one direction. Vennells: “In terms of the culture, the reason I came today, is that I really want the Committee to hear that that is not the case. We put this scheme in place because we wanted to find out what was going on. “Inevitably, because of their distress, the people who have gone through this are very vocal and very challenging about what they have been through – quite rightly so. As we have gone through the investigations, we have looked at where there are things we could improve. There were things that we could improve, absolutely. “The only point I am trying to make to the Committee is that for the vast majority of people—70,000 people are using the system today, and half a million people over the last 10 years have not had those problems. “I am not denying at all that there are problems. Of course there are—there are problems in any organisation – but this is about the reputation of the Post Office. Henderson: “On the culture point, until we issued our interim report, the mantra that we regularly heard from Post Office was, ‘Horizon is perfect. We have total confidence in the Horizon system’. Angela van den Bogerd: … “The information that the sub-postmaster needs to balance their accounts is available in branch. There has always been an audit trail in branch. Before we went on to the online system in 2010, the reports were available for a period of 42 days. Ian Henderson: May I come back on a couple of points made by Angela? She is quite correct on the numbers that she has quoted, referring to the audit trail available to sub-postmasters; for a long time, there was a limit of 42 days. Unfortunately, the transaction corrections that they are asked to accept – if they do – often generate losses for that branch and that sub-postmaster. “When the audit trail was 42 days, the delay in producing the corresponding TC [transaction correction] that they needed to investigate was in the order of three months. It was three months late, and therefore outside the 42 days of the audit period. “That, I would argue, is another example of a systemic flaw in the overall process, because we have a mismatch between the TC – the adjustment made by Post Office – and the audit data available to the sub-postmaster. Angela van den Bogerd: “The help desk has always been available after the trading hours of the post offices – until 10 o’clock at night, back in those days – and if they were unable to get hold of somebody, they were able to leave a message for a call back. “There was always some access to help in those situations… a sub-postmaster has a choice. At the time that they make their balance and find that they have a discrepancy, they have a choice to declare that loss and make us aware of that, or – as happened in some cases, unfortunately – cover up that loss and hide it from the Post Office. That is false accounting. Are subpostmaster “losses” in a secret PO suspense account? Henderson: “We know that every year Post Office takes the credit of its profit and loss account, generally a six-figure number, from a suspense account. The concern raised by a number of sub-postmasters is that some of those credits actually relate to transactions where they have suffered a loss. Vennells: “As soon as we went into the scheme, I had a conversation – in fact, I have had it several times because I know that people are concerned about this – with Mr Arbuthnot and Mr Bates – to reassure them that nothing would be destroyed when the scheme was set up. Angela van den Bogerd: “So normal retention policies for commercial organisations are for six years. That is in line, usually, with the statute of limitation. We have gone a little bit further with the Horizon system, where it is seven years. PO deficient in duty of care to subpostmasters? Katy Clark: “The Post Office will obviously be very aware of the high level of concerns among MPs on a cross-party basis about this issue – a huge number of MPs have been involved in the group that Sir James Arbuthnot has been involved with – and they have no doubt read the transcript of the recent Adjournment debate, which made very clear the anger among many MPs about how this whole matter has been handled. What do you think you are doing or could do to address these concerns? Katy Clark: I asked a question, and I would like an answer to the question. What are you doing, or what have you done, to improve the way that your organisation works? Vennells: I would say that that isn’t true. If sub-postmasters have queries, they can escalate them as high as they need to. I get phone calls and e-mails, and I personally take them on a regular basis. Vennells: “If they have an IT query, I will immediately go to my CIO, and she is prepared to talk to any sub-postmaster about it. The organisation wants to help sub-postmasters to run post offices properly- of course we do- and we have put ourselves out as much as we possibly can. “Where we have got it wrong, because human error happens, then we have put in really significant changes in terms of the training and support that is available. The fact that you can access training 24/7 has to be a significant improvement. “We have set up a branch user forum – we have sub-postmasters coming to it who are very critical of us, which is why we did it – is to learn the things that we can improve. Vennells: “We have outlined some of those things already, such as the way that we listen to sub-postmasters through the branch user forum, and the training. It seems to me that one of the big issues to come out of this is that in some cases – not the majority, but I accept Mr Blomfield’s point that this is about the small number of cases here today – we could have done things better. Alan Bates: “First, Post Office has to be investigated – it has to become part of the investigation. It is trying to act as an agent and as everything – it is trying to control the information coming out, what is released and all the rest of it. George Thomson: “For a tiny percentage of complaints over a 15-year history, it would be nonsense for the Government to take over. Let’s bring it to conclusion as quickly as we can. Andy Furey: I would suggest that the mediation scheme needs to be opened up for some of the contemporary cases that are ongoing today. “I would ask the Post Office to withdraw any obstacles in the way of CWU [Communication Workers Union] representing postmasters. Mark gets lots of obstacles, such as lack of recognition for representing postmasters. “Kay Linnell: “The initial complaint review and mediation scheme, with 150 cases in it, needs to be drawn to a conclusion by making the Post Office go back to the original brief and stop doing this legal defence thing. “But I also think that a permanent, Government-based solution for new complainants to a third-party individual such as an ombudsman for future fault reporting, without any recrimination or redress from the Post Office on the person raising the complaint, is an essential way to go forward. Mark Baker: “We [the Communication Workers Union] are an organisation that is excellent at advocacy and being able to sort the weaker claims out from the stronger claims; and we know how to work with Post Office. “We know how to challenge it—we are not in awe of it, as some people are. We would make a valuable contribution to improving and moving the mediation scheme on. Paula Vennells, Chief Executive of the Post Office, is due to answer MPs’ questions today on whether the PO’s Horizon system was partly responsible for ruining the lives of dozens of subpostmasters. A hearing of the Business, Innovation and Skills Committee will give MPs a chance to question Vennells directly rather than through a minister, as before. At issue is the irreconcilable. On one side are PO officials who say the Horizon system has no systemic problems and has not been proven to have caused shortfalls in accounts that led to subpostmasters being accused of theft, fraud or false accounting. Years after the discrepancies occurred it may be impossible to prove the existence – or absence – of any faults in the system at the time. On the other side are more than 150 subpostmasters who are represented by Alan Bates, Chairman, Justice for Subpostmasters Alliance. They cannot prove that shortfalls shown on the Horizon system were not their fault. In the middle are forensic accountants Second Sight who were called in by the Post Office to investigate possible miscarriages of justice. After Second Sight raised questions about Horizon’s possible fallibility, the PO criticised Second Sight’s findings. A complicating factor is confidentiality. Under pressure from MPs, the PO set up a mediation scheme to adjudicate on individual cases. Several times the PO has invoked the need for confidentiality as a reason for not discussing reasons for the mediation scheme’s slow progress. The scheme was set up in August 2013 and is ongoing. It’s unclear why there is a need for confidentiality given that subpostmasters have been willing to discuss their cases and prosecutions are in the public domain. A Parliamentary campaign for justice for the postmasters has been led by MP James Arbuthnot. Referring to today’s hearing, Arbuthnot told Computer Weekly that at a select committee hearing people cannot avoid answering questions because the MPs will keep returning to the question until they are satisfied. Nobody outside the Post Office believes the subpostmasters were guilty of taking money. But the subpostmasters are in no position to prove they didn’t. It’s a seemingly irreconcilable situation, especially as the righting of miscarriages of justice will require “give” – possibly even compassion and humility – on the part of PO officials. Regarding Kevan Jones’s comment, the Post Office has pointed out that a minority of cases in the Mediation Scheme involve criminal convictions, not 150. There were 150 applications to the Scheme and some of these have been resolved. Jailed and bankrupt because of “unfit” IT systems? What now? Post Office’s Horizon IT – an unusual case study? In the House of Commons in December Conservative MP Andrew Bridgen spoke about his constituent Michael Rudkin, a former Post Office subpostmaster. Rudkin was a magistrate. He also served as the most senior member on the national executive of the National Federation of SubPostmasters. He was chairman of the Federation’s negotiating committee, responsible for negotiations with Post Office Ltd and Royal Mail Group. In 2008, after Post Office accounts showed a loss of £44,000 at his local branch office, Rudkin lost his business, his reputation, his position as a magistrate, some property and his good name, and he has been unable to work since. Bridgen claimed in the House of Commons on 17 December 2014 that a Post Office auditor told Rudkin of the £44,000 loss the day after Rudkin had visited the Fujitsu/Post Office Ltd offices at Bracknell. Campaign4Change put the whole of Bridgen’s speech to the Post Office. It declined to comment on the specifics but gave a strongly-worded statement (below). Like other MPs, including Labour MPs, who spoke at the debate, Bridgen began by paying tribute to Conservative MP James Arbuthnot who has been leading a Parliamentary campaign for justice for more than 150 subpostmasters, some of whom have been jailed, made bankrupt and have had their lives ruined after the Post Office’s Horizon system showed shortfalls on local branch accounts. Arbuthnot had secured the “adjournment” debate on the Post Office’s mediation scheme that was set up to resolve disputes between subpostmasters and the PO over discrepancies shown on the Horizon system. Arbuthnot said it was the first time in his 28 years in Parliament he had sought an adjournment debate (a debate that ends with no vote). “In 28 years in the House, I have never needed to apply for an adjournment debate, but the way in which the Post Office has treated sub-postmasters and members of parliament who have expressed concern about the matter is so worrying, and to my mind shocking, that in my final few months in Parliament it has become necessary for me to apply for an adjournment debate,” said Arbuthnot. “The issue first came to my attention because of the plight of a constituent, Mr Michael Rudkin. For 15 years, he was a sub-postmaster… He was responsible for negotiations with Post Office Ltd and Royal Mail Group, so he is an experienced sub-postmaster. “I would like to share with members his experience of the problems with the Horizon system, which demonstrates that significant questions need to be asked of the Post Office, although it is reluctant to answer them. “Mr Rudkin’s story starts on Tuesday 19 August 2008. In his official capacity as a negotiator on behalf of sub-postmasters, he was invited to a meeting at the Fujitsu/Post Office Ltd offices in Bracknell to discuss problems with the Horizon system. “If Mr Rudkin is telling the truth, which I have no doubt he is, this sequence of events raises questions about the system, which the Post Office must answer. “On arrival that morning, my constituent signed the visitors’ book in reception and waited for his chaperone, a Mr R.
“Mr R took him to the second/third floor, and they entered a suite where Mr Rudkin recognised Horizon equipment on the benches. “There was only one other person in the room – a male of approximately 30 to 35 who was reluctant to engage in conversation with Mr Rudkin or Mr R.
“Mr R asked Mr Rudkin to follow him through a number of pass card-protected security doors to some stairs. They went down to the ground floor and then entered the boiler room [an office in the Fujitsu building]. “Mr Rudkin states that a number of men dressed in casual office wear were standing around the doorway. They became very uncomfortable about Mr Rudkin’s presence and left. “Having entered the boiler room, Mr Rudkin instantly recognised two Horizon terminals. There were data on both screens, and an operative was sitting in front of one of them, on which the pure feed for the Horizon system came into the building. “Mr Rudkin asked if what he could see were real-time data available on the system. Mr R. said, ‘Yes. I can actually alter a bureau de change figure to demonstrate that this is live’ – he was going to alter a figure in a sub-postmaster’s account. “Mr Rudkin expressed deep concern, because he had been told that no one had remote access to a sub-postmaster’s account. At that point, he was politely but speedily taken to reception, and he was told to leave the building. “Mysteriously, the next day, Wednesday 20 August 2008, a Post Office Ltd auditor—a gentleman Mr Rudkin knew, by the name of P.F. – arrived at Mr Rudkin’s sub-post office. He proceeded to tell Mr Rudkin that his branch had a loss of £44,000. “Interestingly, Mr Rudkin maintains that the investigator knew the size of the loss before he even entered the premises. “Mr Rudkin was absolved of all knowledge of the loss by Post Office Ltd, but he was ordered to pay the money back at the rate of £1,000 a month from his salary. “As we have heard, the sub-postmaster is completely liable under the contract for all losses. “As Mr Rudkin points out, why would someone steal money from themselves when they know that? “After Mr Rudkin had paid £13,000 back to Post Office Ltd, the Post Office started proceedings against Mr Rudkin’s wife for false accounting. It also applied for a confiscation order on all his property and had his bank account frozen under the Proceeds of Crime Act 2002. “Mr Rudkin has since cleared all his debts to Post Office Ltd. In the process, he has lost his business, his reputation, his position as a magistrate, some property and his good name, and he has been unable to work since. “Second Sight – the team of independent investigators appointed by the Post Office to look into the matter – questioned the Post Office about Mr Rudkin’s allegations and his visit. ” Initially, Post Office Ltd consistently denied the visit had ever taken place – until Mr Rudkin produced an e-mail from Mr R. from the day before the visit, which invited Mr Rudkin to visit and said that Mr R. would meet him in reception, at which point the Post Office did admit that the meeting had taken place. “Second Sight has repeatedly requested e-mail data from before, during and after Mr Rudkin’s visit, as well as a copy of the visitor’s book, but all those things have been withheld or are, we are told, now missing. That raises serious questions about the Post Office. “Second Sight told me that it has looked at the contract sub-postmasters are asked to sign and that, in its view, a person would have to be an economic and legal illiterate to be willing to sign it, because it is so slanted in favour of the Post Office. “As we know, the Horizon system is imposed on sub-postmasters by the Post Office. “Effectively, the sub-postmasters become the fall guys – they are ultimately liable for all losses – so there is little incentive for the Post Office to ensure that the system or the support for it are robust. “There are many questions to be answered, and I hope that as a result of parliamentary pressure and debates such as this, we will get the Post Office to move to a position where genuine negotiations can take place with aggrieved parties on a level playing field. “There is very selective, misleading and incorrect information being put into the public domain about a number of cases but Post Office cannot and will not breach the privacy of individual applicants by discussing their cases, even though this means it cannot defend itself against unsubstantiated, baseless or malicious allegations. To do so would lead to us being accused of breaching confidentiality and undermining the mediation process. “Each and every allegation is being reinvestigated and to date there is no evidence of either system-wide computer faults or malicious remote tampering with Post Office branch transaction data in subpostmasters’ accounts. Further, it is not possible for Post Office to alter that transaction data. This is a letter written by Sir Anthony Hooper, chair of the Working Group Initial Complaint Review and Mediation Scheme, to Jo Swinson, the Post Office minister – Sir Anthony Hooper letter to PO minister Jo Swinson Dec 2014. TV investigative journalist Nick Wallis has covered the Post Office Horizon IT dispute extensively. He has presented reports on the dispute for BBC’s The One Show. Computer Weekly’s timeline of the problems since 2009. Post Office “tries to sabotage” mediation scheme it set up after IT complaints? BBC R4’s Today programme broadcast interviews yesterday with campaigning Conservative MP James Arbuthnot (who is standing down at the next election) and Mark Davies, Communications Director at the Post Office. At issue is whether the Post Office wants genuinely to establish the facts after complaints by more than 150 subpostmasters that they have been unfairly treated – in some cases jailed, made bankrupt or forced to remortgage their homes – because the PO’s Horizon IT system wrongly showed cash shortfalls. Last year the Post Office set up a mediation scheme, in part to respond to 144 MPs who’ve had representations from former subpostmasters about the Horizon system. But the MPs announced yesterday that they have lost faith in the mediation scheme. Arbuthnot, who leads the group, said in a press release, “The [mediation] scheme was set up to help our constituents seek redress and to maintain the Post Office’s good reputation. It is doing neither. The big unanswered question is whether the Post Office is deliberately hampering mediation because the scheme, as it turns out, is not going in its favour. The Post Office hired forensic accounts Second Sight to investigate the Horizon system. It found that the system was not fit for purpose in some branches. The Post Office has said the leak of that Second Sight report was “regrettable” and it has not released it. “At considerable public expense the Post Office set up a medication scheme but sadly they are now trying to sabotage that very mediation scheme they set up. They are doing it in secret. It’s an extraordinary story. “They are trying to bar from mediation 90% of subpostmasters for whom it was set up. They are arguing that those like Jo Hamilton, who pleaded guilty to false accounting, shouldn’t have the mediation scheme available to them, despite having agreed expressly with MPs that those who had pleaded guilty to false accounting should have it available to them. They are doing it in secret, and they are doing it at a stage when there is no legal representation available to these subpostmasters… I am afraid I have no confidence that the Post Office is trying to clear it up. Humphrys: What they say is that they pay for people to get independent advice; they have advertised for people to come forward with their stories; they have investigated the cases; they have done everything that could be reasonably requested of them. Arbuthnot: “They talk about this legal advice but then they try to prevent the subpostmasters from going into the mediation scheme at a stage of the process when the subpostmaster is not represented. Humphrys: They have a relationship with their clients and therefore they are inevitably bound to secrecy? Arbuthnot: “Yes. There was a concern at the beginning of this that Second Sight, the independent forensic accountants whom the Post Office chose and are paying for, did have a relationship with the Post Office. That worried MPs about whether they would have the independence required, but they have had. “Now that they have shown that independence the Post Office is doing its utmost to pooh-pooh the recommendations that Second Sight is putting forward. It is trying to override those recommendations, possibly because of that very independence. Humphrys: The investigation isn’t over. That may change. Humphrys turned to Mark Davies, the Post Office’s Director of Communications. It is a very serious charge: that you sabotaged this scheme? “If I could just finish the point. It is really, really important to set this out. The Horizon system that Mr Arbuthnot refers to is used every single day by about 80,000 people. In the course of the last decade half a million people have used that system, without any problems, face to face with customers, across the 11,500 branches in the Post Office network. It’s still 150 people …Each individual with their own life being ruined. Now what was it that Mr Arbuthnot said about your handling of this scheme that is wrong? That was your own review? “It was with independent forensic accountants John. We set up the complaints mediation scheme for those 150 people who came forward. Look – we advertised for people to come forward. We went to our people across the Post Office network and said, if you feel you have been treated unfairly please come and talk to us about that. If we weren’t taking this seriously we would not have done that. But you heard the story of Jo Hamilton there. She has tried to do everything that she could … and she has got nowhere. I understand that but nonetheless she is representative of many like her and they are in desperate trouble now. They have a case don’t they? But you have barred 90% of them? So you can’t tell me how many have been barred? It might be 90%? I am not asking you for the names of the people. I am asking you for the number of people who have been barred [from the mediation scheme]. So we’re entitled to accept what Mr Arbuthnot said which is that it is 90%? Without being able to give me a figure, with the best will in the world, it is impossible for us to do anything other than accept the figure Mr Arbuthnot’s gives. “We are being placed in an intolerable position at the Post Office because we are bound by a confidentiality agreement which was agreed with all parties including the Justice for Subpostmasters Alliance. “We are in an extremely difficult position. It’s not the case that 90% have been rejected. We are actually looking at every single case, on a case by case basis. We are absolutely committed to doing that… in some cases there is evidence whereby we have looked at what’s happened and we have held our hands up and said in some cases we could have done some things differently and we have reached agreement with some people. In other cases we have not reached that conclusion because we have to take it extremely seriously. A very quick word Mr Arbuthnot? Jo Hamilton, Arbuthnot’s constituent, used to run a sub-post office from her village shop in South Warnborough, Hampshire. She pleaded guilty to false accounting following a discrepancy of £2,000 in December 2003. “I had to remortgage the house and repay the money. Originally, I was charged with stealing. They said if I repaid and pleaded guilty to 14 counts of false accounting, they would drop the theft, so the decision was made – I’d be less likely to go to prison for false accounting than theft. Bankrupt and jailed over “unfit” Post Office IT? What now?